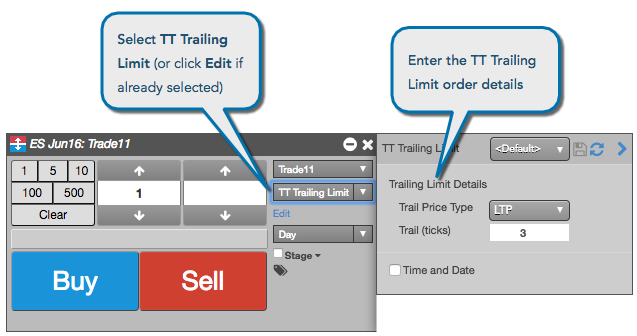 Select TT Trailing Limit for the order type. Enter the desired Trailing Limit Details parameters. Specify the TIF for the exchange-native child orders submitted by the TT Trailing Limit order.